In any national election the stakes are high. But if Labor wins they have committed to holding a referendum on an Australian republic. This issue was put to the Australian people in 1999 but lost. Yet, as I explain, it is an issue that will always be with us. For this episode, we flip things around and Whig Capital's Jordan Shopov interviews me on the republican versus monarchy debate. Full disclosure - I am a spokesman for the Australian Monarchist League (and a member of the Australians for Constitutional Monarchy). But I hope I can give this important issue the fair background it deserves. As always, please remember to rate the podcast or share with your friends. For this episode I'm joined by Sam Rebecchi - a Melbourne-based communications adviser and part-time writer for the Spectator Blog. I saw his recent Spectator article - 'Shock News: politics and consumer goods are two different things' - as a good opportunity to talk about the elevation of consumption politics, the evacuation of values from public life, and the perceived lack of distinction between the two major Australian political parties. Politics, he concludes, has sadly been reduced to nothing more than the goods on our shelves. Tune in to hear how we can turn this around, the path to good citizenship and building strong communities. For this episode I’m fortunate to be joined by Bastion CEO Jack Watts (https://www.bastioncollective.com/). Jack and I met over a decade ago on a leadership course in China, and he has since grown a small sports marketing opportunity into a firm with global reach and employing hundreds of people. We talk about the importance of experience, taking on risk, avoiding bad decisions, managing people and dealing with growth. I enjoyed Jack’s principles – design the life you want to live, tap into your thrill of the chase, fail fast, ‘corterize’ it, get the bad news out, and move on with the best you’ve got. Hope you enjoy this episode. Please remember to rate and share the podcast with your friends. Episode 28 – Public vs Private - When Should Government Run Things? On this episode economist Will Witheridge and I discuss the philosophy behind privatisation, the wisdom of Adam Smith, and cartels and monopolies. We also talk about the challenges of the privatisation journey in the West (Australia's Two Airlines Policy for example), some of the areas where privatisation doesn't entirely work and the balance between government regulation and 'nationalisation in new clothes' - excessive green and red tape. To start 2019 we are putting an ‘older head on younger shoulders’ with Richard Krohn – author of The Parallel University: Create A Balanced Life And Have It All. From superannuation to resilience, we talk about the importance of creating a plan, avoiding binge television and surrounding yourself with positive people. We also cover how individuals should respond to the allure of progressive politics, the hefty fees from planet finance, and test general assumptions around inequality and globalisation. Now is a time when a lot is being asked of individuals. Not all are answering the call, which only underlines the importance of Krohn’s lessons from Parallel University. 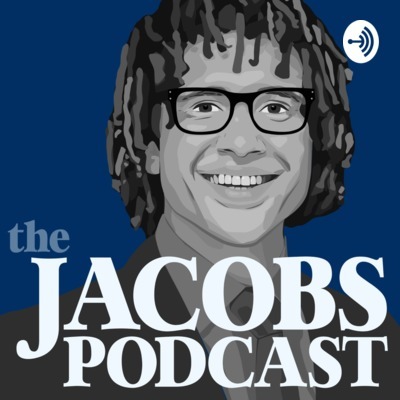 From bitcoin to Australian federalism, I like to think The Jacobs Podcast, which I started in early 2018, has been a very small contribution to good old fashioned ‘long form’ discussion. Jordan Shopov, Will Witheridge and I reflect on our favourite podcasters of the year, which includes heavies like Tyler Cowan and Russ Roberts to Dave Rubin and, of course, this year’s big sensation – Jordan Peterson. We also talk about our favourite books and our thoughts on 2019, where we predict the ‘values and capitalism’ debate will re-emerge as planet finance revolves back into earth’s orbit, laying bare the effects of low interest rates and the timeless question of inequality. Who are your role models? Who are your anti-role models? We all have both. Join Will Witheridge, Jordan Shopov and I as we discuss economists, politicians, writers, sports stars, financiers, military leaders and many others. Sometimes the best role models are the people right in front of you. Let us know who yours are at www.seanjacobs.com.au. On this episode I'm joined by Gerard Benedet for a very brief chat on Advance Australia - a new organisation challenging the dominance of progressive advocacy groups like Get Up. This is a shorter episode but it comes at an informative time. Hope you enjoy the listen. For more on Advance Australia please go to www.advanceaustralia.org.au. A dollar today, a dollar tomorrow. Join Whig Capital’s Jordan Shopov and economist Will Witheridge for a discussion on the state of housing in Australia. From lending practices to the Banking Royal Commission, and the difference between ‘value’ and ‘price’, we cover some pretty heavy terrain. Regardless of where you sit, it’s worth a listen. My guest is former Australian Ambassador and regional trouble-shooter James Batley, who has taken on some of our most challenging foreign policy roles – from Bougainville and East Timor to the Regional Assistance Mission to the Solomon Islands (RAMSI). After meeting for the first time at the recent Liberty Fest 2018, Dr Dillon and I thought a podcast would be a good idea. Anthony's work is available at www.anthonydillon.com.au. We discuss a range of topics, from symbolism and Aboriginal history to building better capabilities and thriving in the modern world. And please remember to rate or share the podcast! Happy listening and please get in touch at www.seanjacobs.com.au. Squares or Towers? Join economist Will Witheridge, businessman Jordan Shopov and I for a discussion on how networks and hierarchies have worked throughout history and in the modern age. We look at this by basing the discussion around Niall Ferguson's newest book on the subject. But you don't need to have read the book. Enjoy and remember to rate the podcast! For this episode it's just me 'running solo' and talking about my recent article on books that I think young Aussies should read. Check out the article at www.seanjacobs.com.au and leave a message with your thoughts. Happy listening! For this conversation I’m joined by the Beijing-based Enoch Li – founder of Bearapy (www.bearapy.me) – to talk about avoiding burnout, the nature of depression, mindfulness and how ‘play’ can lead to good outcomes in staying fresh and fulfilled. Although I feel slightly indulgent speaking about my new book, I pass the interviewer’s mic to good friend Jordan Shopov. We talk about the lessons in my book, in particular, how an intolerance of your circumstances, developing focus, improving your writing and taking advantage of the unique opportunities Australia offers all conspired to fuel my turnaround. For a copy of the book please visit www.connorcourtpublishing.com.au. On this episode I talk to Dr Sammut from the Centre for Independent Studies. We start a little differently by discussing personal history but then move onto the (re)emergence of identity politics, the state of universities and building cultural confidence in Australian history. For something slightly different, I talk to Gold Coast Lifeguard Luke Ingwersen on the range of roles a lifeguard plays, from local tour guide to first responder. It’s a great discussion on rips, some general water safety, the changing nature of international beach-goers and the challenges of being responsible for public safety in one of the busiest places in the country. This episode's title is borrowed from Robert Garran's satire of the Australia's State Premiers in 1934. While we oftentimes hear that the States should collect your income tax (the Feds currently do) they historically haven't been too keen on it. Federalism is hardly a 'fun' topic but join Jordan Shopov, Will Witheridge and I as we talk about some of the unique features of our federal system. It’s not all about the United States, Trump or Brexit. All states and governments are under pressure, from technology and ‘automation’ to a new generation bringing all new grievances. Are robots really going to wipe out our workforce? And, in a more connected world, are we actually becoming more isolated? Join economist Will Witheridge and I for a discussion on the trends shaping our current world. Renewable energy targets, power bills, nuclear power, Paris agreements and a 'carbon constrained environment'. Join energy policy specialist Lauren Timms and I as we come at the energy discussion from different angles. I even manage to throw Adam Smith in there. Episode 11 - Could a Hawke, Keating or Howard survive today? From social media to our need for 24 hour news, we know that the world has changed. But how would past leaders survive today? And do we put our current political leaders under so much pressure, despite being able to do only so much? Talking through these topics with me is professional economist William Witheridge and Whig Capital's Jordan Shopov. A special thanks to Sam Muller for his help in producing this episode! My interesting discussion with Stephen Foote on public safety and staying resilient in a complex world. Steve is a co-founder of the International Safer Institute at www.saferinstitute.org.au. How unique is Australia's past? From the rule of law to civil society, and from Australia's first Governor to the slim prospects of the Australian Republican movement, Professor Flint and I look at the benefits of Australian history. Episode 8 - This Bitcoin Thing? Like most I don't understand or really 'get' Blockchain? Or is it Bitcoin? Join Jordan Shopov and I as we discuss (in basic terms) what it is, how it works and if the hype is all worth it. Not all about less avocados! After a quick Australia and New Zealand Army Corps (ANZAC) Day debrief we move onto the idea of shares over real estate, the concept of stocks and the important idea of values and wealth. Andrew Cripps is a former Minister for Natural Resources and Mines in the Queensland Government. He shares his motivations for getting involved in politics at a young age, approaching policy, and staying principled in a challenging world. In this episode I speak to Michael Coates, author of Manus Days: The Untold Story of Manus Island. His book is available at Connor Court Publishing. Happy listening. Who do we think we are offering ‘wisdom’ in our early thirties? Jordan Shopov and I discuss what we wish we knew a decade ago around career, happiness and decision-making. Warren Buffett once again features heavily in terms of advice but also Steve Jobs and even Aussie cricketer Steve Waugh. Thanks for listening and please keep the feedback coming. Episode 2 – People Are Looking For Depth What to talk about on the second podcast? Well, podcasts. In this episode we talk about the shows Jordan and I enjoy but also why people are tuning out of mainstream current affairs broadcasts. Our thoughts are that people are getting a tad over slim perspective, limited depth and no decent exchange of ideas in their current affairs – something that shows like ABC’s Q&A, Michelle Grattan’s ‘Conversations’ or The Project just don’t really seem to offer (and don’t seem to get). Some of Jordan’s favourite podcasts are Econtalk, Masters in Business and Conversations with Tyler Cowan, while some of mine are The Remnant, The Ricochet Podcast and The Art of Manliness. But don’t move on to these so swiftly! Please make sure you listen to Episode Two of the Jacobs Podcast and offer your thoughts on improvement, questions or issues for discussion. This episode’s lead in was by Okinawa Lifestyle with a jam called ‘Levan’. Thank you again to Elly McNee. The inaugural episode of the Jacobs Podcast. It took me a while but we’re finally here. In the first episode I talk to Jordan Shopov – friend and founder of Whig Capital Management – about the benefits of reading. We touch on some pretty decent figures – Adam Smith, Warren Buffett and Harry Truman – while exploring how reading can help with accessing better arguments, ‘getting off the curriculum’ and cutting down ignorance. Thank you to producer Elly McNee.